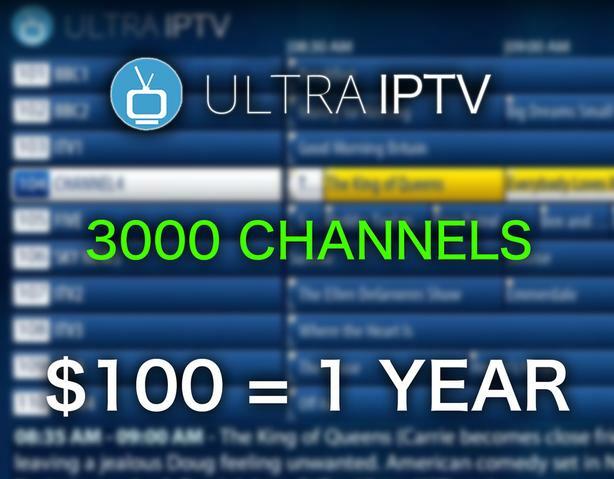 ★ EASY INSTALLATION: WE CAN INSTALL IPTV ON YOUR EXISTING BOX OVER THE PHONE! NO FEES! ★ NO CONTRACTS: ONLY ONE TIME PAYMENT OF $100 FOR THE YEAR or $10 A MONTH! ★ RECORD & PVR: RECORD YOUR FAVOURITE PROGRAMMES TO YOUR BOX! ★ WE SEND YOU FULL GUIDE ON HOW TO SET UP AND SUPPORT OVER THE PHONE!